A freakish night awaits you during the darkness of the season, with a themed event from Clik Clik in conjunction with The Paul Pry, a beautiful Victorian pub in Worcester. Step into this crazed world of curios and sideshows, meet the characters lurking inside and let them intice you to take part. 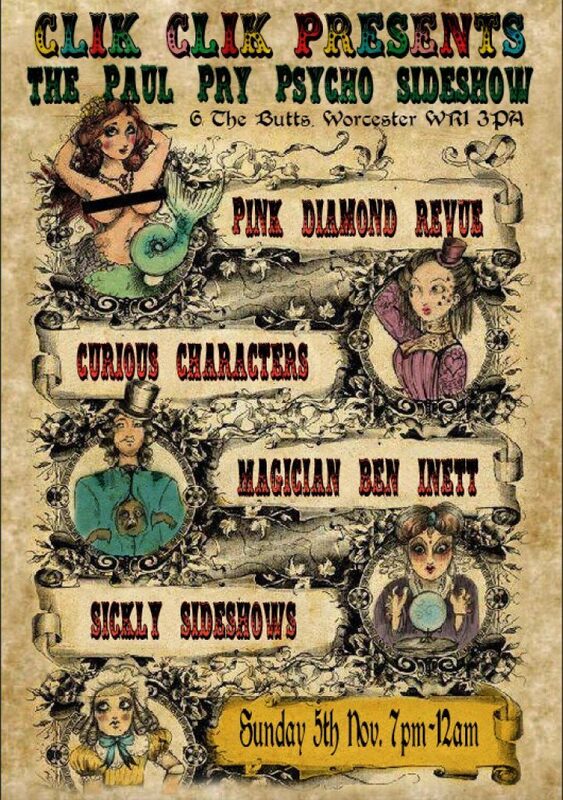 Look out for magician Ben Inett ready to fool and bemuse you and remember to get your photo taken in the Bloody Photobooth before you depart to the bar…..
And the main act for the evening is the fantastic The Pink Diamond Revue, all the way from Reading. 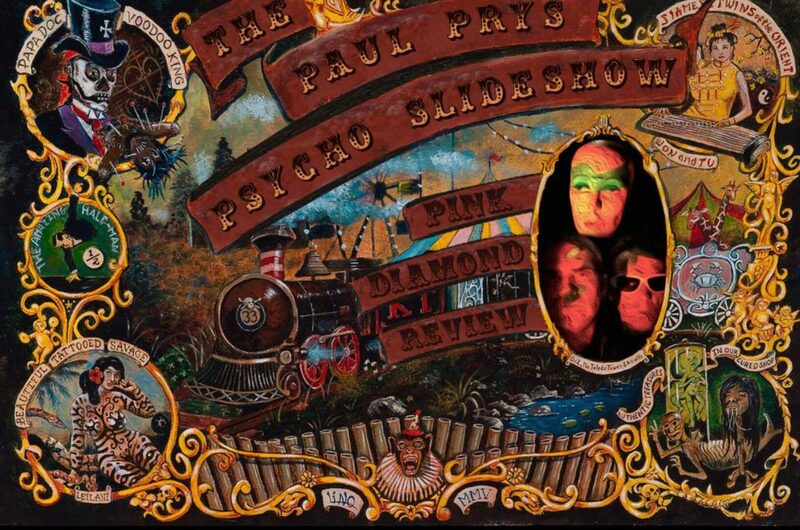 “In a world where ‘60s film soundtracks meet sampladelic acid house” join this rock and roll psychadelic swagger into the next dimension! Sunday November 5th – The Paul Pry, 6, The Butts, Worcester, WR13PA. You can see images here.